Va-va-voom! 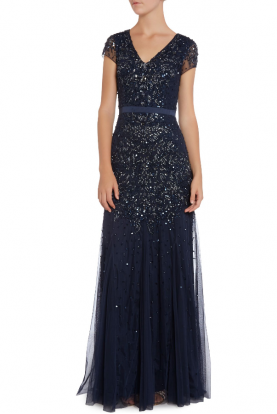 This amazing evening dress by Terani 1613P0973 is a red carpet delight. The trendy bib neckline bodice has a daring keyhole cutout and is designed to enhance your curves. Cinched with glittering pearl details, this dazzling hourglass ensemble will showcase your shape to the flattering full-length mermaid silhouette hem, adorned with a sultry slit.